Confidence in the underlying strength of the tech sector as a whole appears to be solid despite some dispiriting news on the hardware front. Though the decline in PC shipments in 2013 was not quite as bad as expected, it was nevertheless the worst year ever for desktop and portable machines. Meanwhile, the forecast for this year is worse than it was a few months ago, according to IDC. 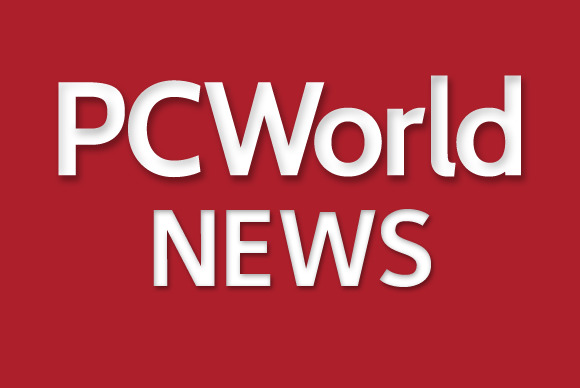 Worldwide PC shipments fell by 9.8 percent year over year in 2013, slightly better than IDC’s earlier projection of a 10.1 percent drop, but still the most severe contraction on record, the market research company said this week. The bad news for this year is that PC shipments will drop by 6.1 percent from 2013, to approximately 296 million—a grimmer prediction than the company made three months ago, when it forecast a 4 percent decline for 2014. The increasing uptake of tablets is also eating into PC usage, IDC said. However, the rate at which tablet shipments are growing will slow down this year, IDC said. IDC now forecasts total tablet shipments, including hybrid laptop-tablet devices, to increase 19.4 percent year over year in 2014, down from a growth rate of 51.6 percent in 2013. IDC reduced the 2014 forecast down by 3.6 percentage points from its previous projection to 260.9 million units worldwide. The reduction in the short-term forecast was due in part to a slowdown in consumer purchases as vendors reduce the rate at which they come out with new versions of products. Perhaps more important, in mature markets there is now a fairly large installed base. In these markets, such as the U.S. and Europe, it is becoming harder to maintain earlier growth rates, which were coming on top of a relatively small number of tablets already in use. “In mature markets, where many buyers have purchased higher-end products from market leaders, consumers are deciding that their current tablets are good enough for the way they use them,” said IDC analyst Tom Mainelli in a statement. Nevertheless, tech investors, analysts and industry insiders still feel confident about overall prospects for tech this year. Tech stocks have risen again this year, on the back of a great 2013. The Nasdaq Computer Index rose a whopping 30 percent last year, and has risen more than 3 percent so far this year even after stumbling a bit over economic concerns earlier this quarter. The Nasdaq as a whole is now at 4,352, its highest level since April 2000, just when the tech-fueled Nasdaq was beginning to crumble—it had its highest point ever, 5,048, on March 10, 2000. Some market watchers worry that tech is again in a bubble, citing high valuations for IPOs and acquisitions. Facebook’s announcement last month that it would acquire the text messaging company WhatsApp in a deal valued at US$19 billion stunned many analysts. For Twitter’s IPO in November last year, the site’s stock nearly doubled in value on its first day of trading, closing at $44.90. That valued the company at $31 billion—before it made a profit. Nevertheless, many market analysts remain optimistic about tech’s chances for further growth. Insiders at tech companies themselves appear fairly bullish, based on their hiring and expansion plans. Ninety-one percent of tech CFOs polled by BDO USA expect the number of employees at their companies to increase or remain the same in the coming year, according to survey data released this week. Employers appear to be focused on hiring in several areas, including big data, cloud computing and data security, BDO noted in a statement. In addition, BDO cited U.S. Bureau of Labor Statistics indicating that employment in all information technology fields is expected to increase by 22 percent by 2020.